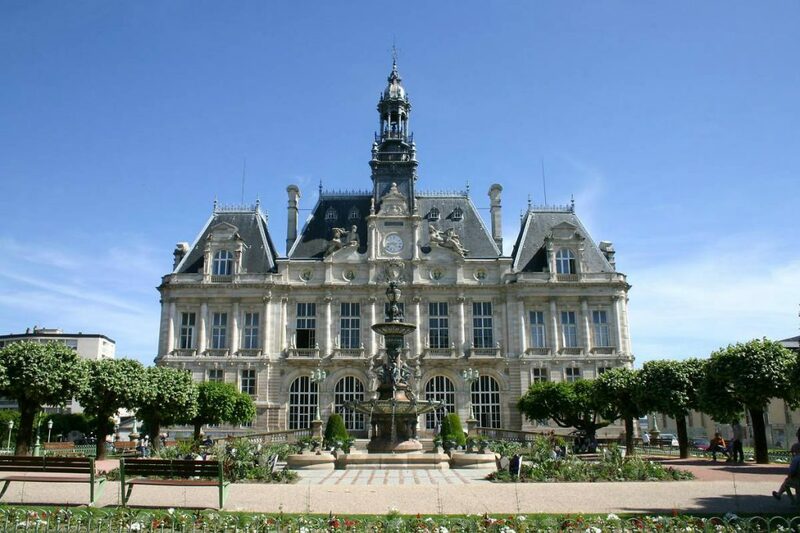 Limoges is the ‘capital’ (prefecture) of the Haute-Vienne department and Limousin regions of France. While it does not usually feature high on the tourist trail, there are various sights of interest here and a visit is well worth the time during your stay with us. The town has a long history dating from the early middle ages. 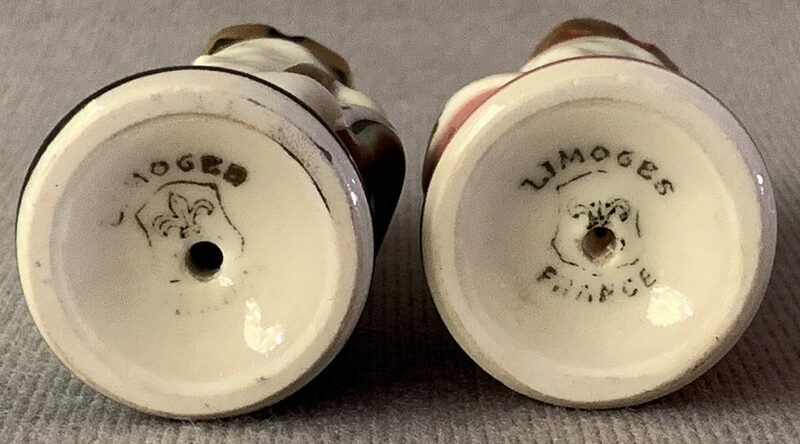 The early prosperity of Limoges was closely linked to the porcelain industry, the riverside city is famed for its porcelain and there are still many shops, factories and visitor centres for you to find that perfect holiday souvenir! The city also offers plenty of restaurants and a range of shops from the nationwide chains and department stores to the smaller independents. 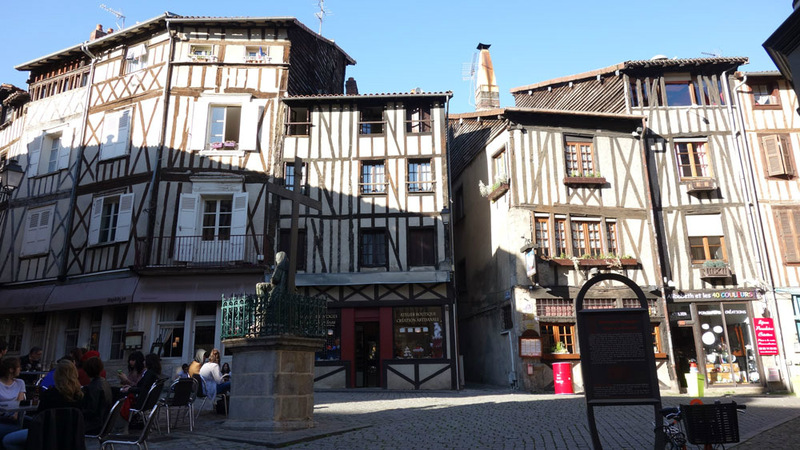 Wander round the winding medieval streets of half-timbered houses and make sure you visit the famous Butcher’s Quarter and the St. Etienne Cathedral. Next to the cathedral are the Bishop’s Gardens which are large formal gardens with lawns and ponds that lead to a viewpoint over much of Limoges. 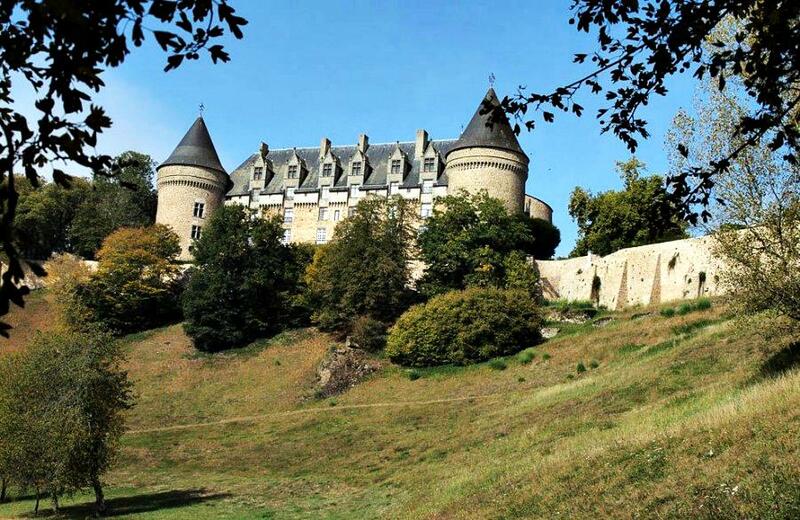 Allow some time to wander through the Limoges botanical gardens, then continue to the section of the town along the Vienne River which is a pleasant place to escape from the crowds. Here you can also admire the 13th century stone bridge across the river. Situated about 40 kilometres from us, the Lake of Saint-Pardoux is one of the most visited destinations in the Haute-Vienne department of Limousin. The lake is substantial in size, with a surface area covering more than 300 hectares (750 acres), and offers a wide range of facilities and activities to summer visitors. Start your visit at the Site de Santrop, at the main entrance to the lake. Here you can find a good choice of outdoor activities, from quiet walks around the edges of the lake to boating on the water, and from beaches around the edges of the lake to acrobatic tree adventure parks (accrobranche in French). Among the most popular with families are the various activities on the beaches, while active teenagers will enjoy absailing across the waters of the lake. The second main centre at the Lac de Pardoux is the Site de Chabannes, where you will find all the major water based and boating activities, as well as a mountain bike course, climbing wall and tennis courts. 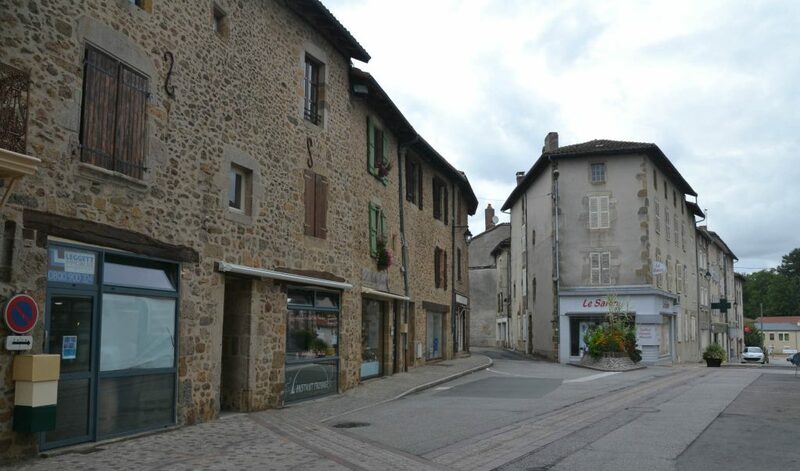 Rochechouart is a town in the Haute-Vienne department of Limousin, not far from Limoges. The town labels itself as ‘the countryside of the meteorite’, because 214 million years ago an enormous six billion tonne meteorite smashed into this spot – probably one of the largest meteorites ever to hit the earth – although little evidence now remains of this catastrophic event. Assuming that you are not concerned about ‘lightning striking the same place twice’ and you visit Rochechouart today you will find a pretty walled town, and an attractive castle. The Chateau de Rochechouart dates its origins to the 13th century, but was much modified in later centuries to create a more comfortable living environment. Subsequently taken over by the local council, the Chateau is now home to the interesting Museum of Modern Art, both indoors and in the surrounding gardens. An unexpected highlight of the town, the museum has a large collection of modern art and installations and also has frequent temporary exhibitions. One other interesting edifice in Rochechouart is the Church Saint-Sauveur. This roman style church dates from the 11th century although the clocktower was not added until the 15th century. Of particular interest is the spire, added later still and with a twisting octagonal design that is very unusual. 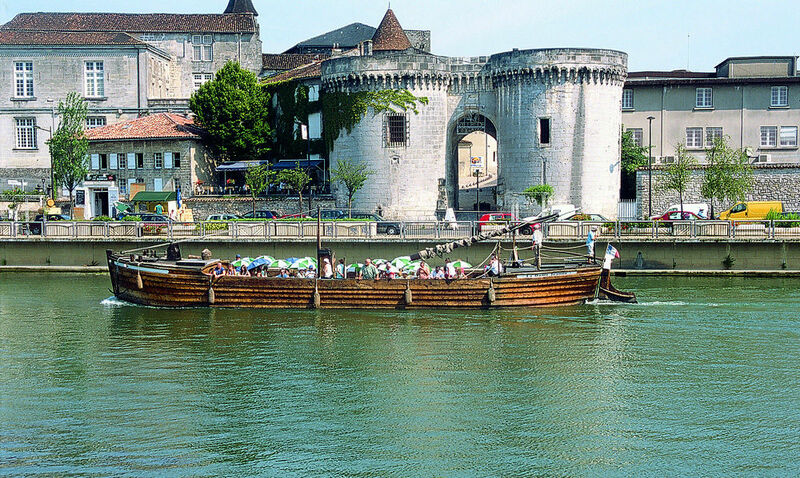 Take a day trip out to the famous city of Cognac by car in under 2 hours drive time. 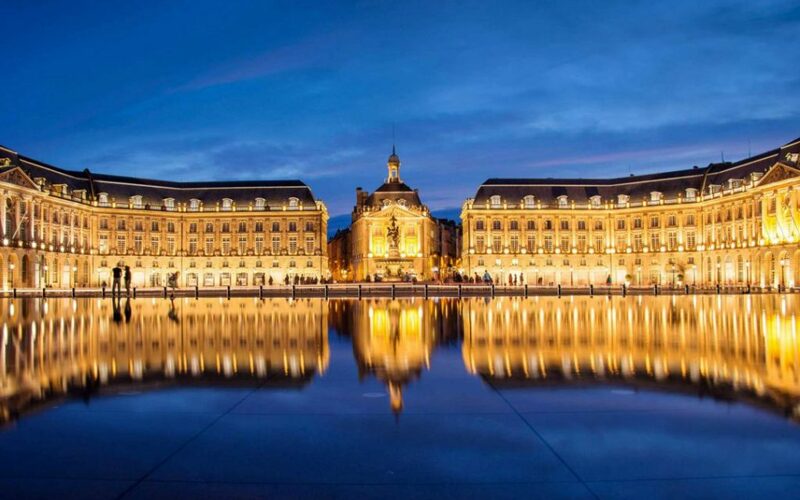 The famous city of Bordeaux definitely means an early start, but within 3 hours drive time it is a must see place to visit. 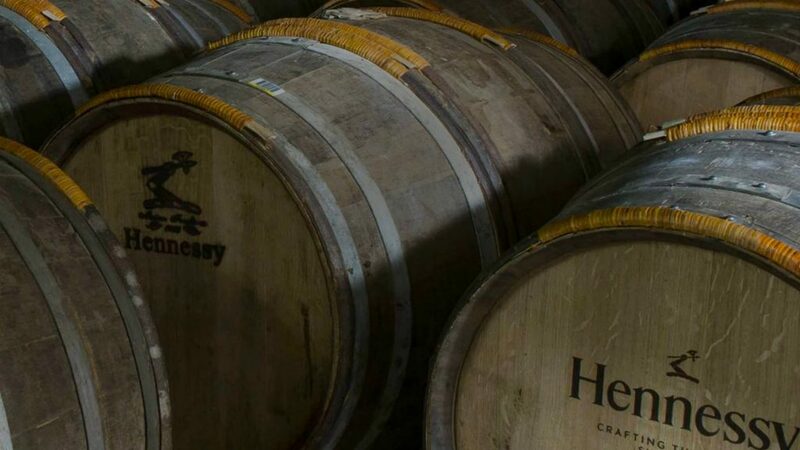 Bordeaux isn’t just a city with the same name as the famous French wine. 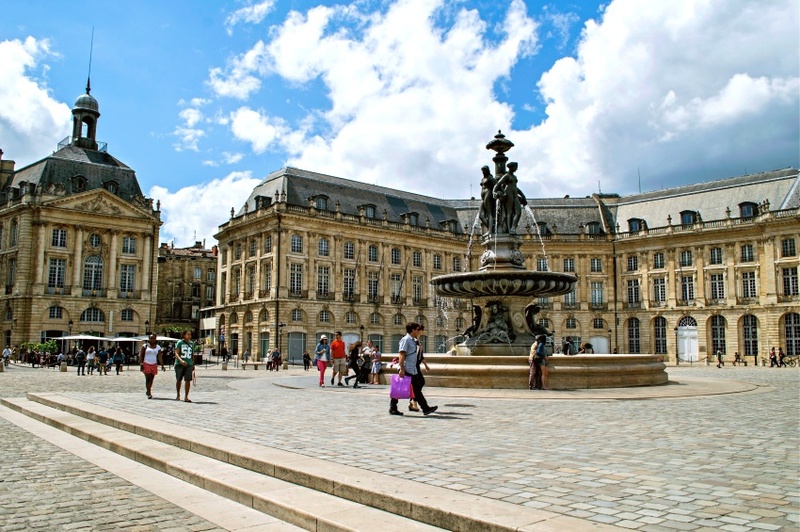 With 350 historical buildings and monuments, dozens of museums and art galleries, a brand new wine experience centre and some of the best food in all of France, its no wonder even the Parisians are leaving Paris for Bordeaux. Rue Saint Catherine is Europe’s longest pedestrian shopping street at 1.2 kilometers. If you stand at the top at Place de la Comedie, you can marvel at how the street dips down before slightly ascending upward again when it reaches its end at Place de la Victoire. Here you’d find major French retail chains interspersed with tiny boutiques, restaurants and gourmet food and wine shops. You could spend an entire day just browsing all Rue Saint Catherine has to offer. Just don’t go on Saturday when it’s most crowded. The world’s largest reflecting pool is there…and splashing around in it is encouraged. When the Miroir d’Eau opened 10 years ago, the French were horrified that anyone would even consider walking on the 3,450 square meter artwork. That quickly went out the window and the Miroir d’Eau became the coolest place to be, especially on a hot summer day. There’s always something going on there from the Sunday night salsa parties to any number of musicians putting on concerts. It’s definitely Bordeaux’s best free attraction.